Cookie Monster is helping children cope with feelings surrounding incarceration. If dealing with feelings after an incarceration is difficult for adults, then it’s nearly impossible for a child. It’s not surprising our friends from Sesame Street offer a tool kit specifically geared towards helping children cope with incarceration. The tool kit is available on their website and can be purchased as a whole or in individual pieces. They cover dealing with feelings, “family day” at school and activity books like the “My Family Story Book” to help children explain their family to others. This is a great collection for any adult caring for children under age 8 with an incarcerated loved one. It’s even a good choice to help some adults comfort their inner child! The Sesame Street toolkit info can be found here in English and here in Spanish. I’m from Sesame Street and I’m here to help! 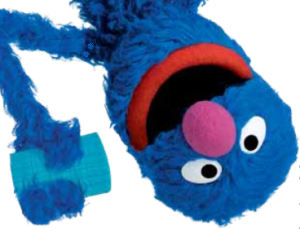 To get you started, here are Sesame Street’s seven tips for helping children cope. Take time each day to check in with your child and ask, “How are you feeling?” Remember to let your child know that it’s okay to have big feelings no matter what they are. Phone calls are a great way to reach out. Help your child to think of something she’d like to tell her incarcerated parent, and give her a photo of her parent to hold during the call. Caring for yourself helps you care for your child. At least once a day, do something that you enjoy or find relaxing.